Previous PostLessons from History: Carthage & Transport SupremacyNext PostThe Virtue of Being a Generalist, Part 2: Are All Nuggets Created Equal? How about first getting some lessons in geography? First thing you need to learn is that it is the Persian Gulf. The Millennium Challenge game was a joke. Those boats that van Riper used were the equivalent of Boston Whalers with a massive P-15 Styx missile strapped to it. 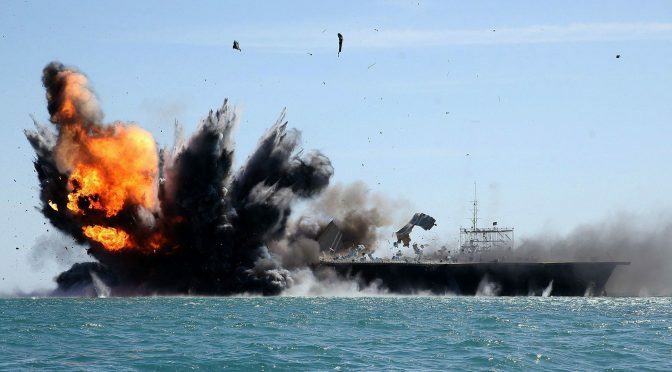 The missile is about the size of the boat. He never explained just how in the run up that nobody would notice the boats being built/modified. Or seeing them set sail out in the open water. Or that the boats wouldn’t capsize in the slightest sea. They would just be there, hundreds of miles off shore, at just the right place/time. You can cheat but you gotta be realistic about it too! van Riper also used motorcycle couriers to avoid radio traffic but treated them as being as quick as radio traffic. When he got called on it all, he literally took his toys and went home. Those light attack craft can be easily dealt with by helicopter gunships with stand-off missiles like Hellfire, Sea Skua, or even just 20mm cannon. Those kill fast attack craft quite nicely. 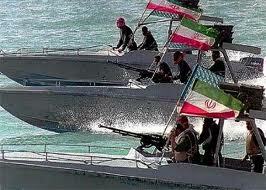 Iraq found that out the hard way in 1991 when they tried to sail a force down to Khafji. It was a turkey shoot with any helicopter with any ammunition coming by to unload on them. Legend has it, an ASW crew used their dipping sonar as a wrecking ball.